The proud moment for Indians, the three India-origin persons in Australia conferred with the highest civilian awards for significant contribution in the field of Medicine, Engineering, and Physics. Jay Chandra, an eye specialist in New South Wales, Chennupati Jagadish, an eminent physicist at Australian National University (ANU) in Canberra, Sajeev Koshy, and a Melbourne based dentist honored with the Order of Australia. The Australia has announced the honorary awards on the Australia Foundation day January 26. 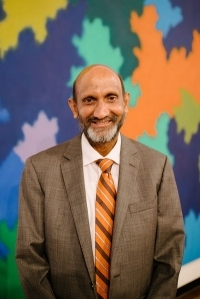 Mr. Jagdish appointed as a Companion of the Order of Australia, who lead the national and international scientific advisory boards through executive roles. He is a scientific author, researcher particularly in the field of Nanotechnology and Engineering. Mr. Koshi lives in Melbourne; his contribution to the dentistry in the state recognized with the award. Australia respects and acknowledges the contribution of its citizens through honoring them with the highest civilian awards. This year the list consisted of our 600 Australian nationals.